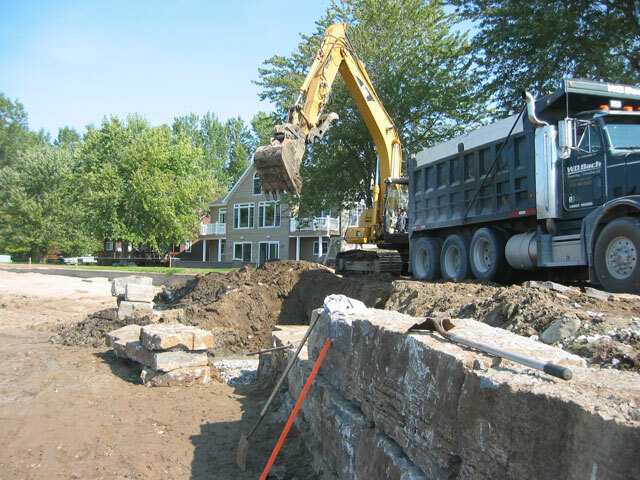 Seawalls are the most important part of your waterfront property. In order to maintain your property value, you must secure and maintain your seawall. If you notice a loss of soil, cracking, sinking or rotation of your seawall cap, it is imperative that you have your seawall repaired. We specialize in repairing or replacing all types of walls, such as rock, concrete, steel sheet pile and wood walls. W.D. 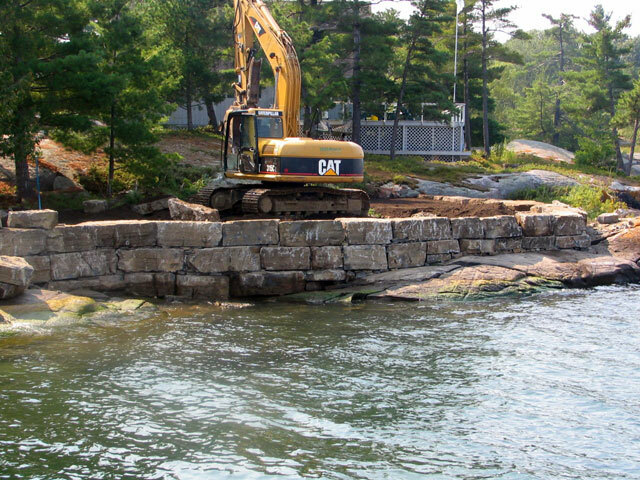 Bach specializes in natural stone retaining walls that can be used as seawalls or for landscaping your property. Natural rock walls are a great way to provide a safe and stable wall on your property. They are constructed to handle the large loads that any segmented retaining wall can while providing a more rustic and natural look. The possibilities of natural rock walls are only limited by your creativity. A natural rock wall is a good way to add value to your property. Natural rock walls can also be used to increase your usable yard space while providing an aesthetically pleasing barrier. 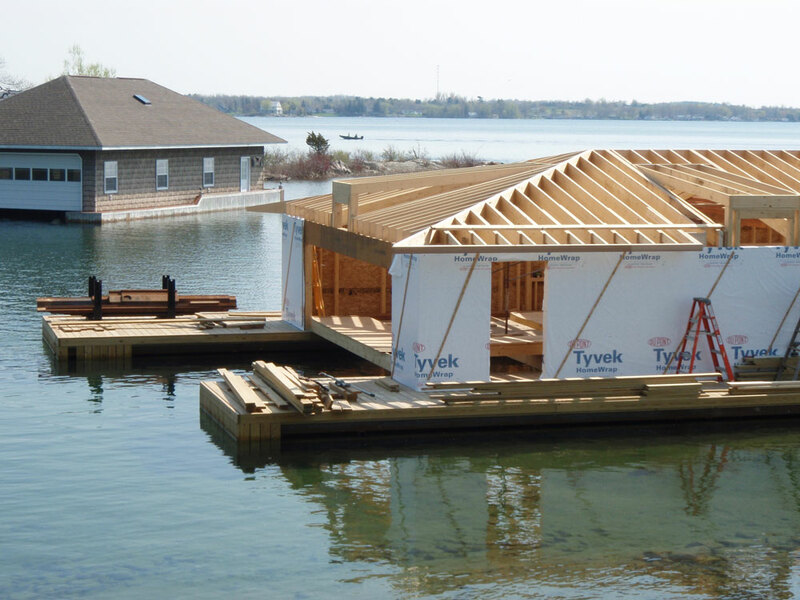 We drive and set pilings on land and in water for any project including homes, cottages, boat lifts and boat houses, docks and piers, bulkheads, and more. Your old pilings can easily be removed to prepare land for sale, redesigns and rebuilds, or for environmental purposes. 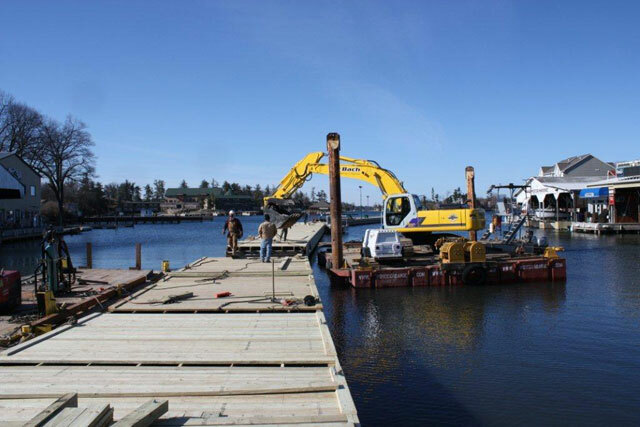 With the ability to work from land or water we can manage nearly any piling removel project and can install your replacement pilings if needed.